Skip Dance Camp This Year, And Send Her to Robotics Camp Instead! Act #174: Help send a girl to science/math camp this summer (or next). This week, Susan Wojcicki, Senior Vice President of Advertising and Commerce at Google wrote an open letter to the girls of the world inviting them to step up to take part in the future. It is expected that opportunities for careers in technology will grow exponentially, yet fewer and fewer woman are earning computer science degrees (18%), and only a small fraction of software engineers at tech firms are women (22%). With less and less women at the table, women will miss an important opportunity to literally help shape the future of technology. 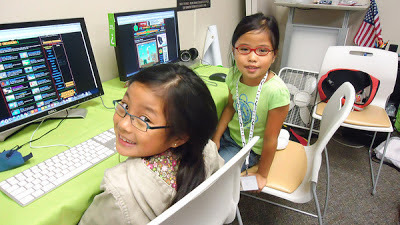 Google considers this issue to be so critical, that it supports a program called Girlstart (http://www.girlstart.org/) that provides science, technology, engineering and mathematics education to girls through after school programs and camps. 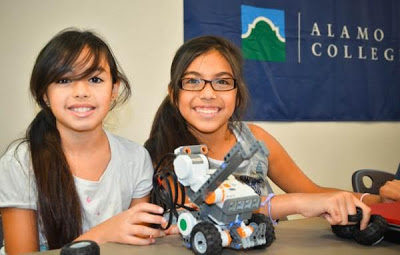 If you have a daughter......or if you have the opportunity to encourage a niece, granddaughter, or goddaughter to explore a math and science camp this summer, do it! Change humanity in three minutes!